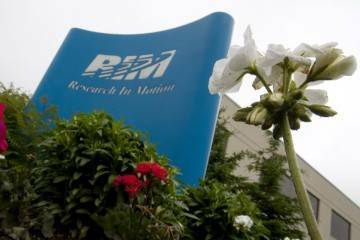 Research in Motion’s (s rimm)declining fortunes have been well documented. It is losing momentum in sales as consumers drift to other platforms like iOS (s AAPL) and Android (s GOOG). More recently developers have started to back off the platform, saying it’s not worth their effort. And now there are signs that the workforce is restless and concerned, potentially on the verge of losing hope. In an open letter sent to BGR, an unnamed senior exec lays out in painstaking detail where the company has gone astray and what it needs to get back on track. Though the post ends on a hopeful note, it is littered with doubt and fears, alternating with anger at the squandered opportunities the company has had. It is not surprising given the state of the company, but it shows how precarious things have gotten for RIM. RIM responded with a statement that questioned the veracity of the letter and provided some general upbeat talk about the company’s efforts to weather its transition. But it doesn’t address the major points raised by the letter, simply reiterating that RIM is addressing the situation and is still in a strong position to tackle the challenges ahead. It’s a bland response and doesn’t do much to get at what I see as the real issue: keeping up morale at the company. While losing customers and developers is obviously a huge problem, RIM can’t afford to lose the trust and confidence of its employees. These are the only people who can engineer a turnaround for the company. But they need a reason not to give up hope. RIM’s culture doesn’t support open communication and criticism and doesn’t hold people accountable. And executives are too dismissive of competing products instead of learning from them. RIM hasn’t focused enough on its developer community, offering them inadequate tools that have resulted in subpar apps. And it hasn’t prized software enough, failing to recruit the kind of talent that can go up against Apple, Google and Microsoft (s msft). The marketing message around BlackBerry is muddled and unfocused, latching on to features like Flash or multitasking instead of clearly defining what the company stands for. 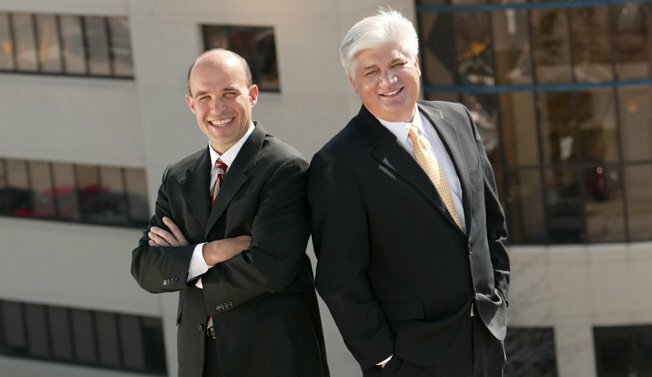 RIM’s structure with two co-CEOs needs to be rethought, because it’s not efficient. The company hasn’t been able to move quickly in its response to the iPhone or in its transition to QNX. That has led to too many products, some that were not ready for launch. The writer suggests that they step down, with both still involved but no longer carrying the CEO title. On Thursday RIM said that it would create a committee to explore splitting the role of co-chair and co-CEO. But more than the individual points, there’s an undercurrent of frustration about where the company is going and how well positioned it is to recover. The writer starts off by stating, “I have lost confidence,” saying the company has fallen further behind during the “chaotic” transition. Later he says, “we are demotivated,” when talking about the state of RIM’s software; he also says that the culture of the company needs to change so that people who fail are let go. But most importantly, there is a sense that all is not well at the top. The writer says the company’s overconfidence clouded its decision-making, leaving it flat-footed when Apple came with its iPhone. We missed not boldly reacting to the threat of iPhone when we saw it in January over four years ago. We laughed and said they are trying to put a computer on a phone, that it won’t work. We should have made the QNX-like transition then. We are now 3–4 years too late. That is the painful truth . . . it was a major strategic oversight and we know who is responsible. I’ve said that the smartphone game is still being played out, and so RIM can afford to see its sales dip for a time. Developers will come back when the user base demands it, though better tools would help. But it’s all dependent on getting back to putting out a top-notch product. And for that to happen, RIM needs to engage its employees and get more out of them than just long hours. It needs to open up those channels of communication and show that it knows how to listen while still being disciplined in setting a course of action. This is a very pivotal time for RIM. From the sound of the last quarterly earnings report, patience is necessary as deadlines get pushed out and the forecast gets more hazy. Taking this letter to heart could show that management is prepared to do battle again. But if it’s just business as usual, I have little confidence in any turnaround taking root. It’s crazy to think that RIM didn’t jump on the Apple bandwagon when they realised the depth of the penetration that the iPhone had on the market. I’m a strong believer that it is only corporate business that is keeping BlackBerry sales afloat; large corporations such as HSBC employ widespread use of RIM’s mobiles; it won’t last though if they don’t keep pressing forward. As successful Blackberry developers (we have even done one of RIM’s much promoted “super-apps”) we were prepared to find a way over the top of its poor development tools and appalling documentation but have been stymied so often in app development for this platform by the very thing that has made it a success. Most Blackberries are used by employees of organisations that have mobile communications requirements and security concerns. Only the Blackberry has a viable security paradigm in the BES. BES delivers email fast and securely and enables the employer to determine what their employee can or cannot do with their mobile device. One of the key things that employees generally cannot do is install apps. If the majority of (especially high value) users of a platform cannot install your app, why develop for it in the first place? But users all want to be installing apps and playing games because that’s the thing that we all think we need. Simultaneously organisations are becoming less worried about security and many are even letting employee’s use their own devices. So RIM are on a downward spiral: their biggest strength stops users from installing apps so developers don’t bother yet users still want apps so they switch to a different platform as soon as possible regardless of the strength that brought them to RIM in the first place. IMHO, RIM’s best chance of recovery is if publishers and users suddenly come to their senses and realise that the functionality of most apps can be delivered via a browser reducing the reliance on development of apps for all the different platforms – but they’ll have to improve their browser at the same time! It never ceases to amaze me how much lazy reporting goes on with tech sites. Boy Genius is becoming a bit of a joke with its stories attributed to “reliable but unnamed sources”. I personally don’t believe this is genuine, it’s just BGR having another bash at RIM. This letter basically regurgitates what a couple of anti-RIM sites have already said, and strikes me as a feeble attempt to justify made up stories. Ooh look, we were right, a senior RIM exec says so. Here in South Africa BB is quite competitive (mostly because of BB Messenger). Nearly all my friends have one. However, I am still refusing to switch to BB because the interface is just so *dog ugly* and unusable. A bad interface has never really bothered me, but BB just really stands out as a pristine example of poor design/UX; which the CEO(s) seem completely unaware of (possibly for the same reason Shane Mac was pointing out). just not sure why a senior executive at RIM would right a letter like that, doesn’t make much sense to me. Hmmm, substitute “Palm” for “RIM” and some of the same criticisms about missed opportunities and not courting developers still hold water — I wonder if HP read this letter? RIM is kaput. 2 years, they will be gone. Completely as a viable competitor. Their products will be a legacy line only. RIM are, from a basic economic point-of-view, not a product company. By which I mean their value proposition was not in the handset or its features. Rather RIM was in the platform business, and their value was in providing a new and secure platform for mobile enterprise communications. There are lots of platforms masquerading as ‘products’ (SharePoint immediately springs to mind). But the economics of platforms are different to those of products. RIM is loosing to Apple and Android as a platform, not as a product. Apple’s real turnaround did not come with the advent and success of OS X, the iMac, and the iPod. It came because they saw the growth of consumer IT needed a solid platform that allowed customers to solve their own problems and that allowed other business to add profitably to that value. Apple’s drive into the enterprise hasn’t been a part of a strategy to build an enterprise platform – rather it is a by product of the individualisation of the workplace. Google likewise has prevailed by building a platform – starting with search – that address the IT requirements of individuals. 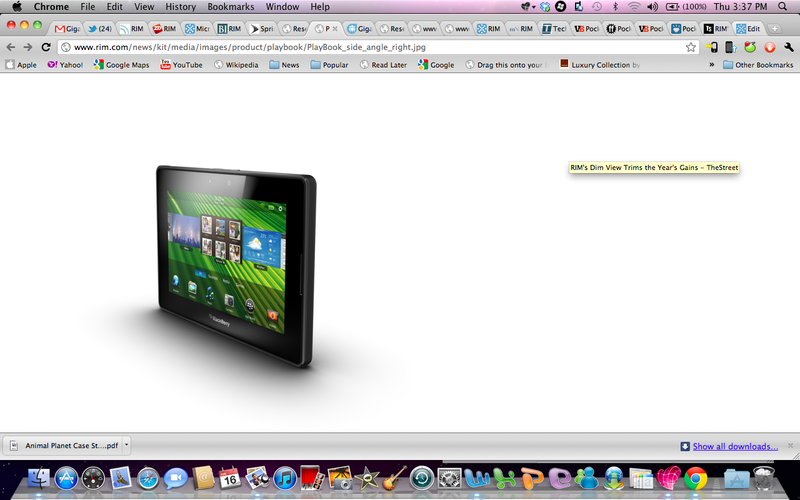 RIM simply can’t pit a range of products and features against these mega-platforms and hope to compete. Even the once block-out-the-sun giant Microsoft is struggling as the value of IT platforms switch from companies to individuals. RIM forgot what it was selling – it it ever really new in the first place. A couple of things you’ve said are interesting, and it would be great if you could expand on them. What distinguishes a ‘platform’ from a product in your eyes, and how does Sharepoint fit that paradigm? Also, i think your points about Apple echo the first point in the open letter, which is about recognising the end user and their ‘requirements’ as you put it. As you say, Apple’s success in getting the iphone into the enterprise was because people wanted to use their iphones at work! Nothing more genius than that. As a BlackBerry employee for about a month (after our last company was acquired by them), I can verify that many internal employees don’t (and are kind of discouraged) to use competitors phones. While, I understand that, it is a killer to keeping up with the competition. My my memory is the time when I was having BlackBerry phone training and I asked the gentleman training us why I couldn’t copy and paste with one finger on the new BlackBerry. It just seems short sighted not to encourage your employees to get acquainted with the competition. That’s how you stay competitive.